Congressman Blumenauer said in response to the Sessions announcement that this is a call to action. It’s time for anyone who cares about cannabis to mobilize to defend state marijuana laws. Come together to protect this industry with your fellow industry professionals at Cannabis Collaborative Conference 4.0!! Join fellow law abiding and tax paying professionals in the Cannabis Industry and UNITE! Cannabis Collaborative Conference 4.0 provides the perfect opportunity to band together and show the media and the world that we will not back down. Why attend? – It’s time to be profitable! 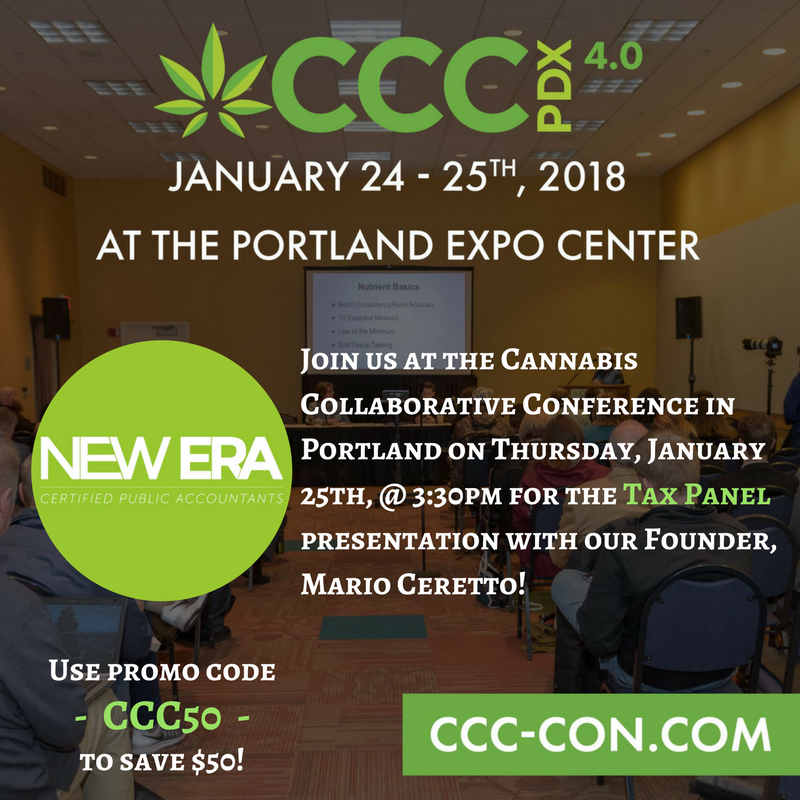 The CCC has grown up with the industry in Oregon.Now three years into full legalization, we no longer need to offer cannabis 101 education. Now we are focused on education geared towards successfully and profitably operating in the current environment. Here is a LINK to all the sessions! If you haven’t received your 2017 tax return engagement letter, please let us know! If you have, be sure to sign and return it to us ASAP in order to ensure your spot on our roster. Please contact clients@neweracpas.com or call (619) 255-4630 with any questions you may have. Please visit our website for additional information.